AIR Niugini has named a Fokker-100 aircraft ‘Rabaul’ in a ceremony attended by airline executives and members of the East New Britain government at Tokua airport, Kokopo. Air Niugini board chairman Sir Frederick Reiher said this was in recognition of East New Britain’s contribution to the airline since it first began operations more than four decades ago. 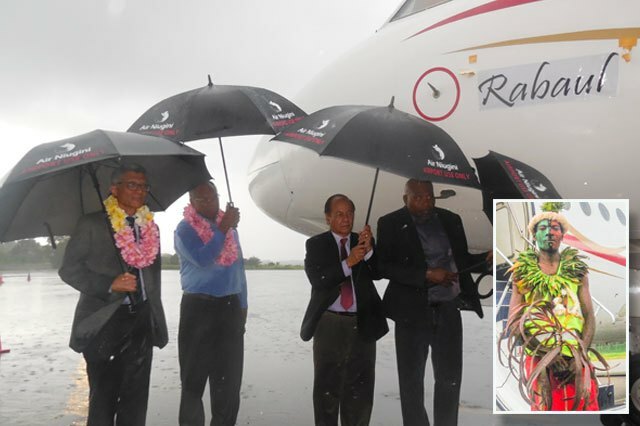 “We have decided to name this aircraft Rabaul in recognition of the significant contribution ENB has given to Air Niugini, particularly our domestic service” Sir Frederick said. Sir Fredrick said the airline was committed to developing East New Britain into a regional tourism hub aligned with the Government’s economic plans. “East New Britain and its capital Rabaul, have been nominated for tourism development,” he said.